One of the most influential museum exhibitions I have ever seen was at the Museum of Modern Art in New York in late 1990. Curated by Kirk Varnedoe and called “HIGH AND LOW: MODERN ART AND POPULAR CULTURE,” it explored the relationship between the individual artistic imagination and the world of popular and commercial culture in the modern era. From Picasso and Marcel Duchamp to Jenny Holzer and Jeff Koons, it asked probing questions about the differences – and values – of popular culture, on the one hand, and high culture, on the other. It challenged prevailing notions of cultural superiority by, in part, highlighting some counterintuitive parallels. These are questions both more and less obvious when it comes to food than it is to art. On the one hand, high cuisine’s roots in the everyday table are plain to see. On the other hand, even some of the greatest chefs of our times – Thomas Keller, for example – are unwilling to describe cuisine as an art form. In fact, these are questions that are inherent in nearly every enjoyable meal any of us will ever eat. 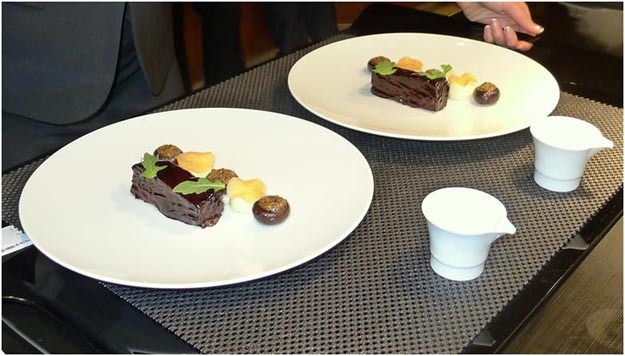 Is a Michelin three star dinner more enjoyable – or, more to the point, better — than a bowl of the best soup your mother made and that you dearly recall from your childhood? Does the Chef of a great restaurant actually have a hankering, every once in a while, for a McDonalds’ hamburger? And Barbeque – perhaps more to the point, barbeque at an NFL football game tailgate – may be the perfect lens through which to view the issue. For the Kansas City Chiefs’ trip to Qualcomm Stadium last year we wrote about one version of Kansas City Barbeque: a Pulled Pork Sandwich with Pink Pickled Onions. http://sdfoodtravel.com/san-diego-kansas-city-pulled-pork-sandwich-with-pink-pickled-onions/. There are two things that characterize Kansas City Barbeque: (1) a wide variety of meats and (2) a complex, tomato-based sauce – featuring layers of sweet, spicy and tangy flavors. The genius of Kansas City Barbeque Sauce lies in the fact that it incorporates multiple sources of sweet, multiple sources of spice and multiple sources of tang resulting in a deeply satisfying and complex symphony of flavors. 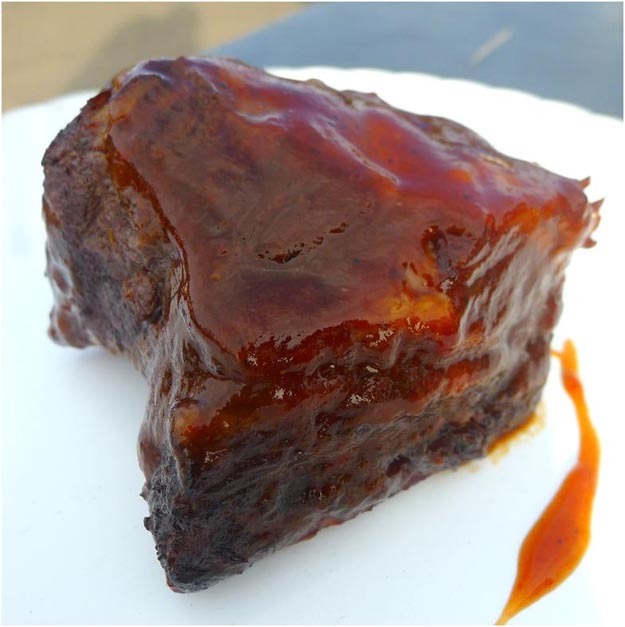 We decided to be true to both of these traditions, but to use a cut of meat and a preparation technique that one would not expect to find at any of Kansas City’s famous barbeque joints such as Arthur Bryant’s, Gates & Sons or Fiorella’s Jack Stack. The cut: short ribs. The technique: a two step cooking process involving a long and gentle braise followed by finishing on the grill at the tailgate. It is a technique I learned when I had the opportunity to stage – apprentice — for three days at one of San Diego’s best restaurants, Addison. One of Addison Chef William Bradley’s signature dishes is a braised Kobe Beef Short Rib with Cremini Gratin and Pomme de Terre. It is a two-day process. First, the short ribs are braised for hours in red wine and port before the ribs are placed in the walk-in refrigerator overnight. This rest allows the ribs to reabsorb some of the braising liquid, enhancing both their flavor and texture. The next day the short ribs are portioned before they are fired to order during service when they are placed under the salamander, an electric grill with the heat source on top, with periodic trips to the stove-top where they are napped with the braising liquid sauce. The result is a finely lacquered and perfect rectangular prism. While Bradley’s technique may, at first blush, seem utterly foreign to Kansas City Barbeque (or, for that matter, a tailgate meal), on further review I’ll stand by my assessment that they have a lot in common. The essence of both, of course, is low and slow cooking to develop both tenderness and depth of flavor. Barbeque tends to use smoking techniques to accomplish that purpose. Bradley’s short ribs – and mine – achieve the same result with braising. In both cases, as important as the sauce is to the ultimate dish, it is applied to the meat in the final cooking process. Ultimately, what this tends to show is that it is the depth of the flavor and the simplicity of the conception that is most important and is not the exclusive province of the highest levels of cuisine. 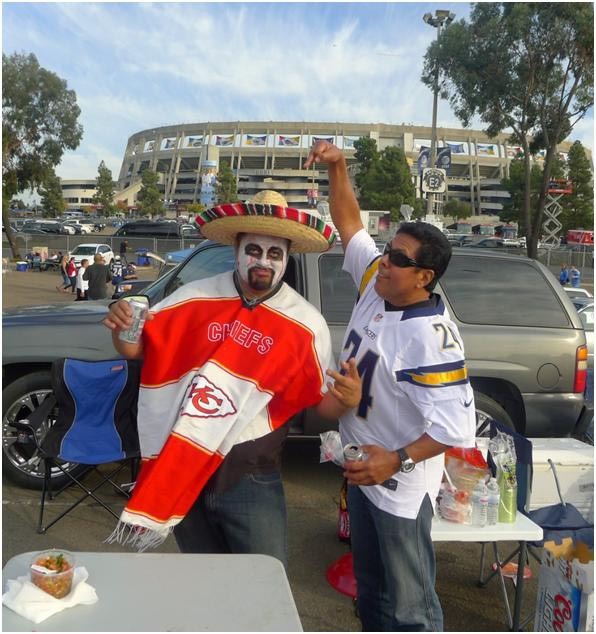 Taking some of the ideas and techniques from that world and applying it to one of the flagships of American cuisine (and to the Qualcomm Stadium tarmac) yields a somewhat different take on a Kansas City original – one that splits the difference between High and Low. Braise the Short Ribs. Place the olive oil and vegetable in a large pot and sweat over low heat for five minutes. Meanwhile, season the short ribs with salt and pepper and heat a sauté pan with the canola or grapeseed oil over high flame. When the pan is hot, reduce the flame to medium and sear the short ribs on all sides. Add the short ribs and enough wine to cover half the meat to the pot with the vegetables and raise the heat to high. When the wine boils reduce the flame and simmer for three hours. Remove the ribs from the heat and refrigerate over night. Make the Barbeque Sauce. Combine all of the dry ingredients in a large mixing bowl and thoroughly mix. Add the wet ingredients to the bowl and mix thoroughly using a wire whisk. Transfer the contents of the bowl to a large saucepan and bring just to the edge of a boil over medium heat. Be careful: it splatters. Reduce heat to low, and simmer for up to 20 minutes. For thicker sauce, simmer for a longer time. For a thinner sauce, less time is needed. 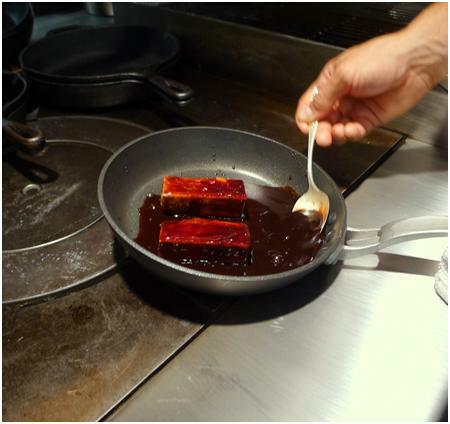 You can thin the sauce by adding a liquid such as wine, water or beer. Taste the sauce and adjust the heat by adding additional hot sauce if so desired. Remember, however, that the goal is a balance of spicy, sweet and tangy. Reheat the Ribs. 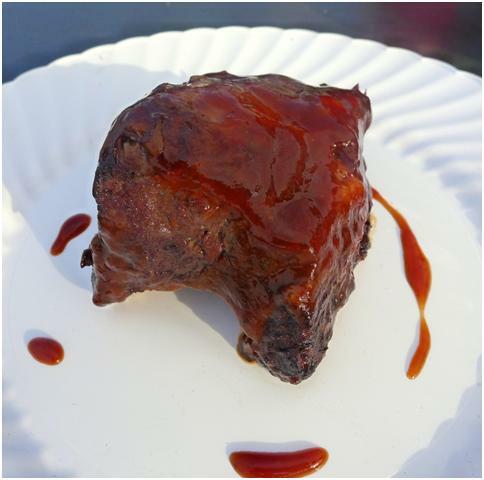 The next day, at the tailgate (or not), allow the refrigerated ribs to come to temperature or, alternatively, heat them gently on a preheated grill just long enough so that the congealed braising liquid is released. 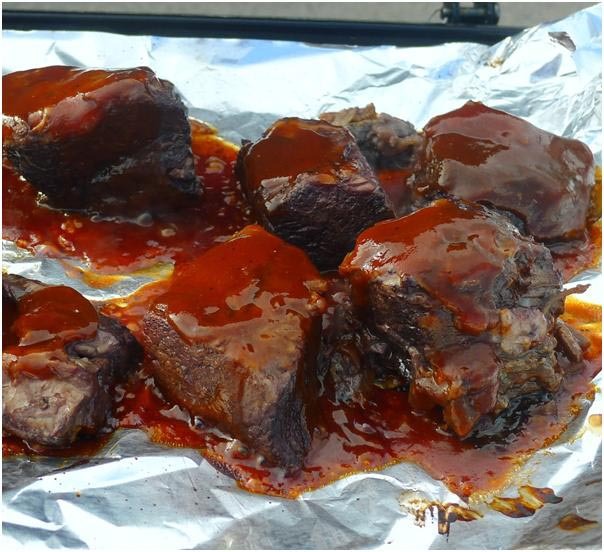 Brush the short ribs with the barbeque sauce to coat thoroughly, placing each rib on a sheet of aluminum foil. When all of the ribs have been coated with barbeque sauce, place the foil sheet with ribs on the grill for five minutes or until the rib are heated through. Check the ribs after two to three minutes to see how much of the sauce has been absorbed or cooked off. Brush the ribs with more BBQ sauce if necessary.